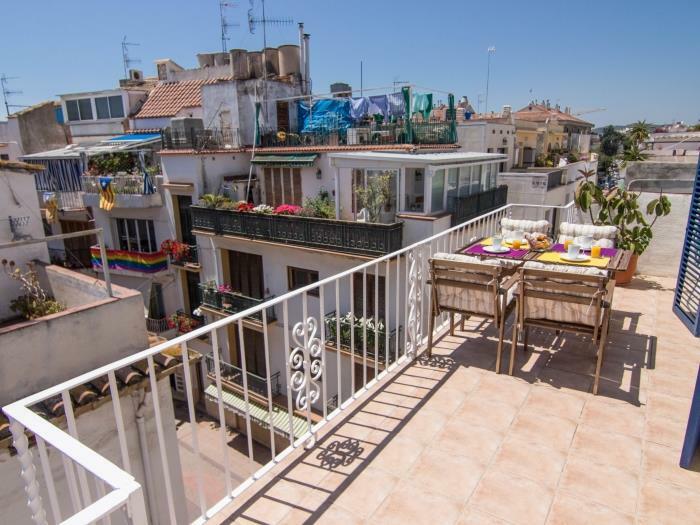 The PURPLE ATTIC penthouse in Sitges is located on a 3rd floor with no lift. 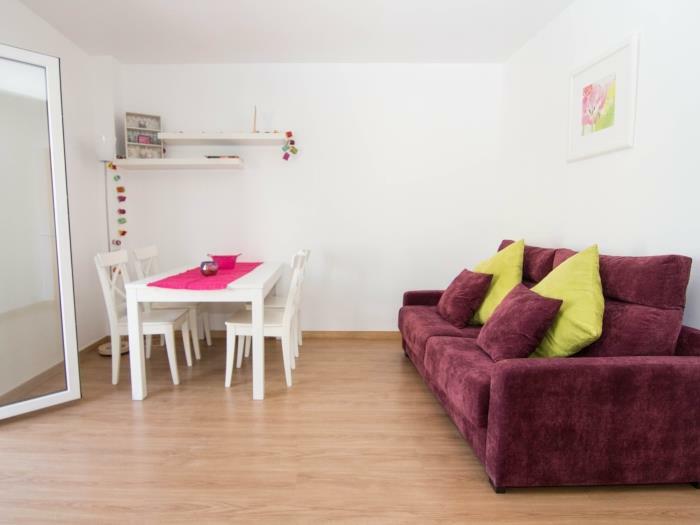 Decorated in a homely fashion, with smart and light furniture, this is a comfortable and cozy apartment that combines bright colors with white pieces of furniture. 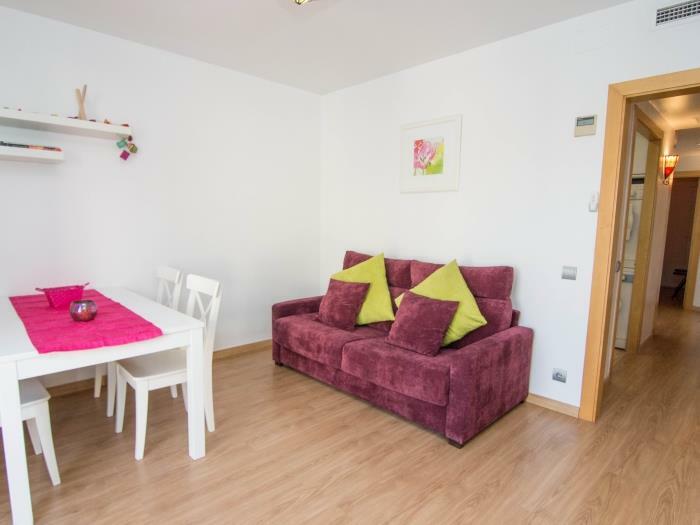 The lounge and dining area has a comfortable sofa bed where an occasional guest can sleep, and a white wooden table with matching chairs. 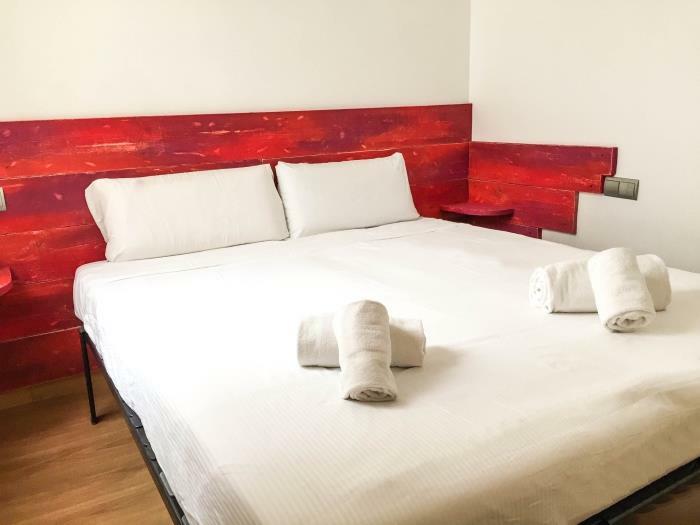 There is also free wifi adsl internet access and a flat screen TV with national TV channels. The apartment is fully air conditioned. 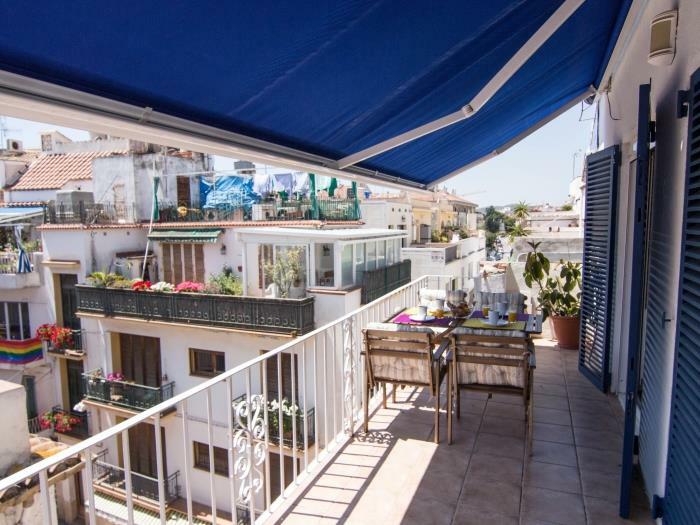 This area is framed by a set of patio doors opening onto a nice good size terrace, which has outdoor furniture for al fresco dining. 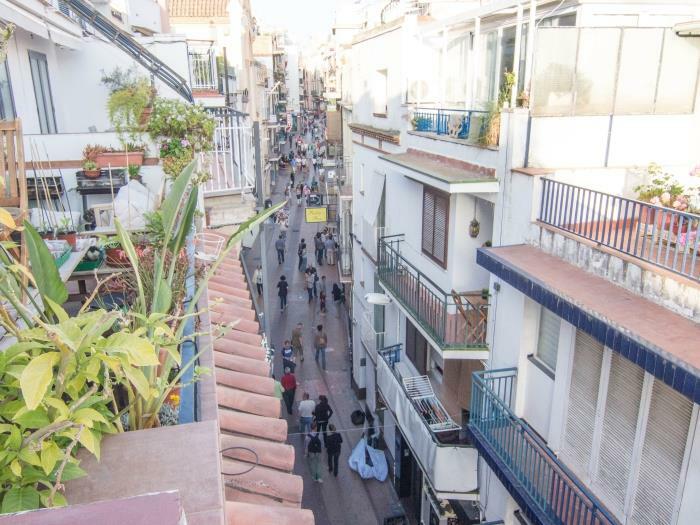 From the terrace you see over the roof tops of Sitges and also to the bustling street below. 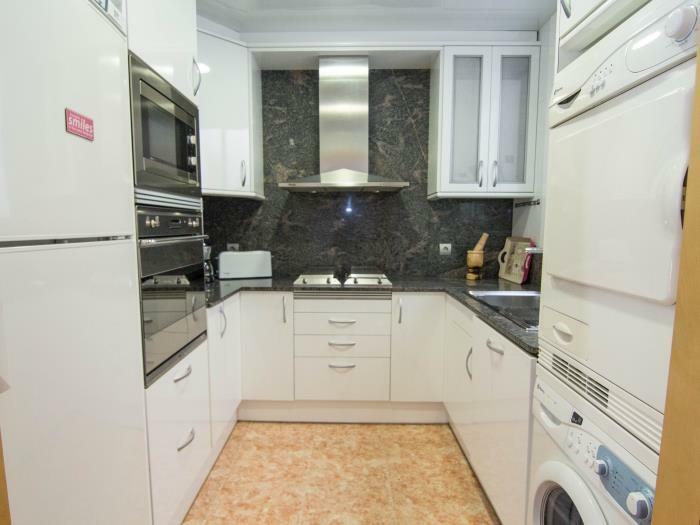 The kitchen is well equipped with everything you might need as oven, gas hob, washing machine, dishwasher, dryer, coffee maker and microwave. The equipment is perfect for catering at home or preparing a picnic for the beach. 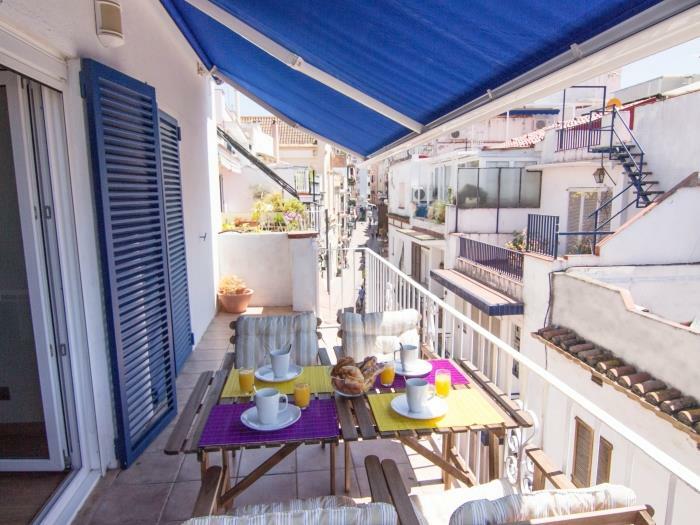 The PURPLE ATTIC apartment features two double bedrooms and two full bathrooms with shower. 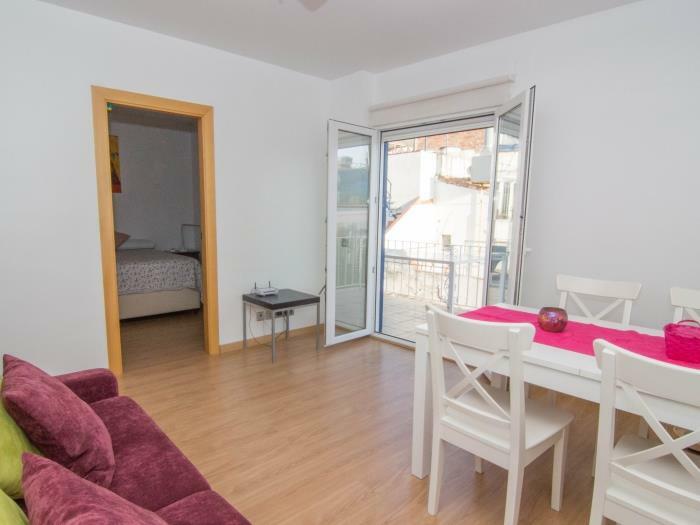 The master bedroom, with a double bed and a high quality mattress has a bathroom en suite and is facing the street and the terrace. 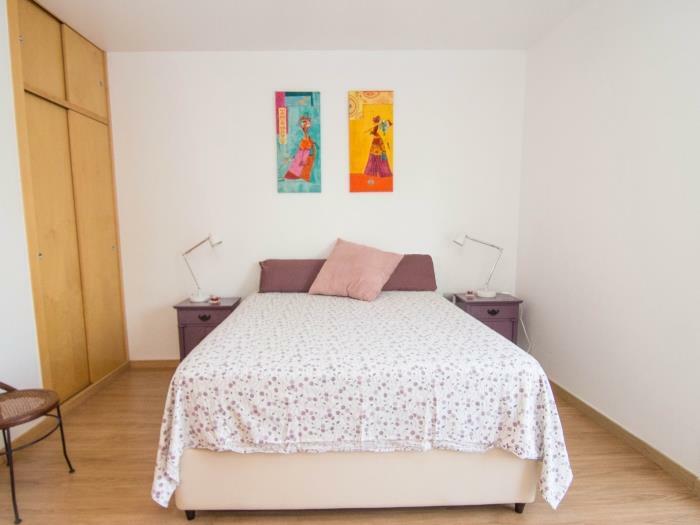 The second bedroom is located at the rear of the property and it´s equipped with two single beds. 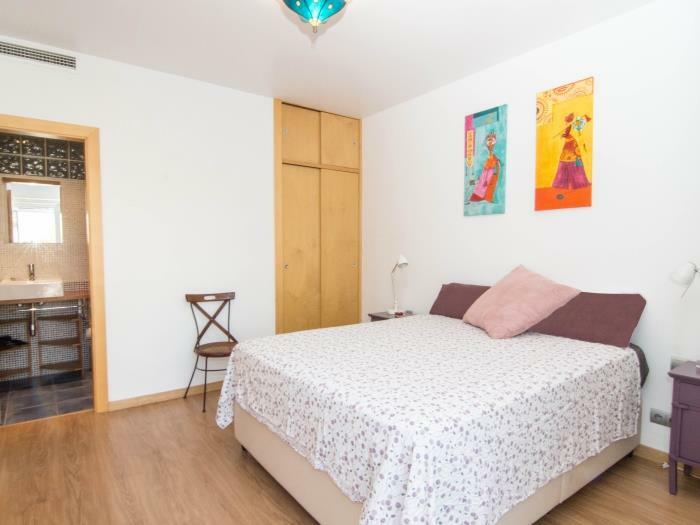 Each bedroom has its own wardrobe space. 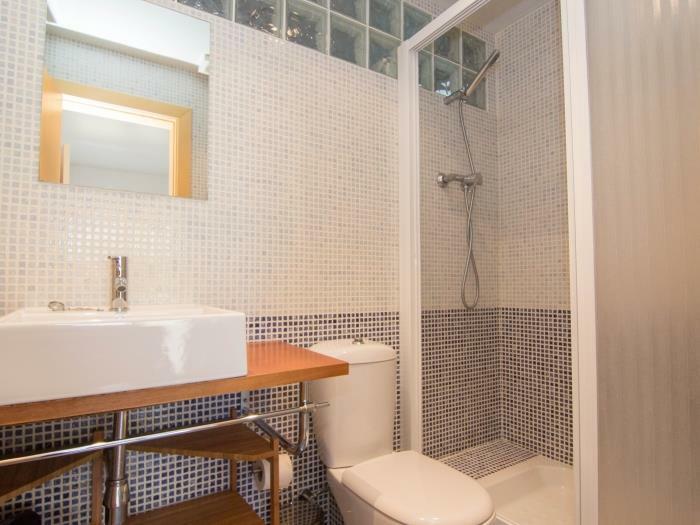 Furthermore there is a second bathroom with WC a designers glass sink and walk in shower. 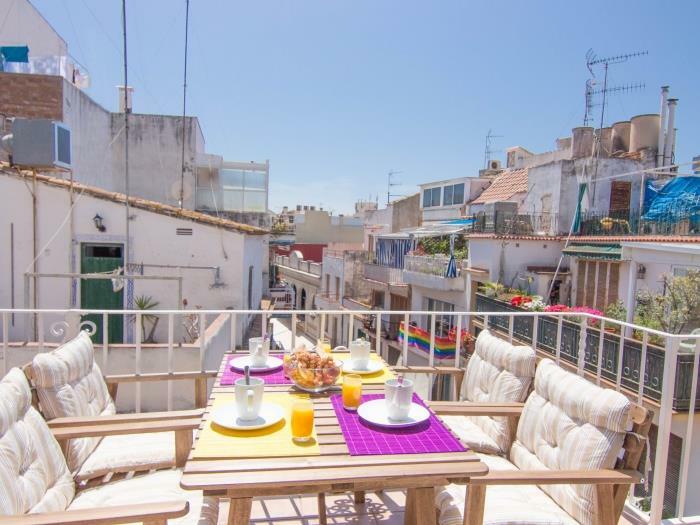 The PURPLE ATTIC penthouse in Sitges is a comfortable and well equipped property with a nice private terrace in the best central location. 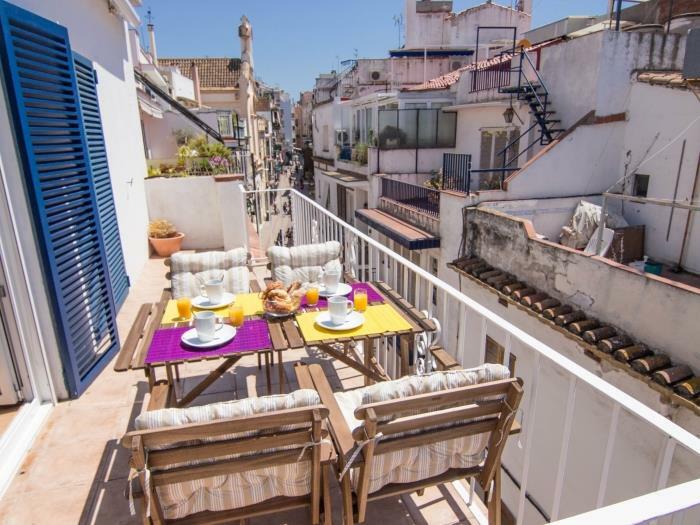 The PURPLE ATTIC apartment is located in a pedestrian street in thecentre of Sitges but high up above the bustle, making it a great choice for those looking to stay in a central location without giving up a good rest. 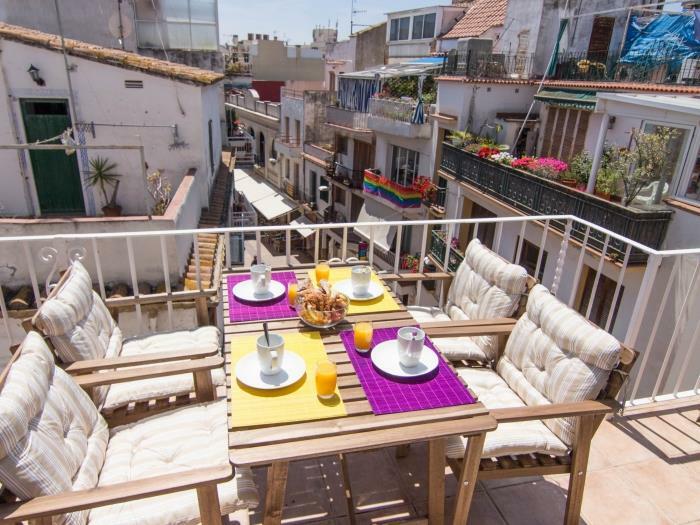 There is an abundance of restaurants, cafes and bars just by the front door of the PURPLE ATTIC apartment. There are also many fabulous and picturesque shops nearby. Furthermore the museums, the art galleries and the beautiful church are just moments away. 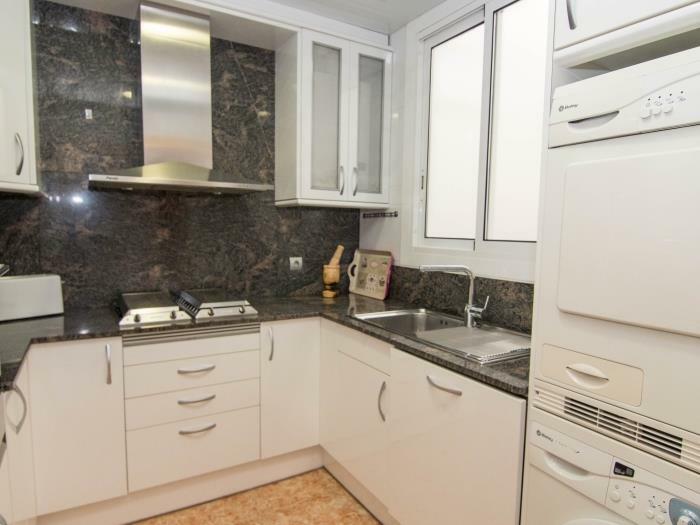 The golden sandy beaches and the beautiful palm tree promenade is only 200mts from the apartment. 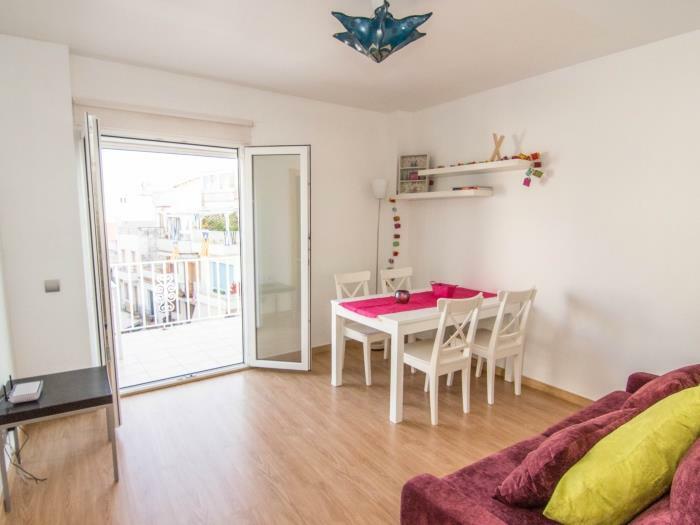 The PURPLE ATTIC apartment is located on a 3rd floor with no lift. The lounge and dining area has a comfortable sofa bed where an occasional guest can sleep, and a white wooden table with matching chairs. 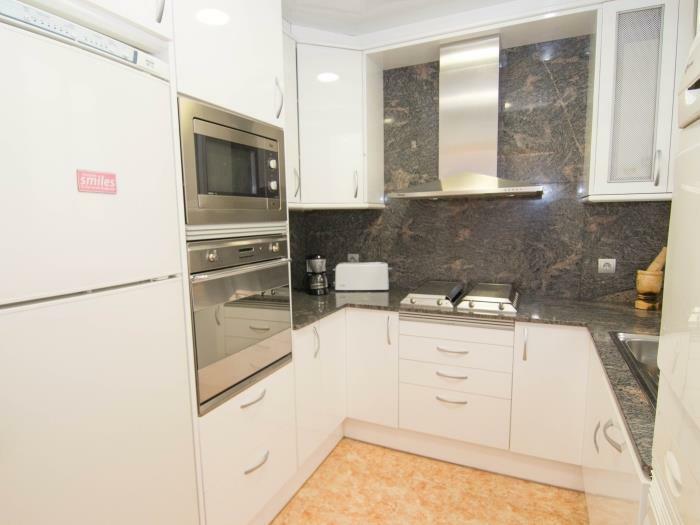 There is also free adsl wifi internet access and a flat screen TV with national TV channels. The apartment is fully air conditioned. 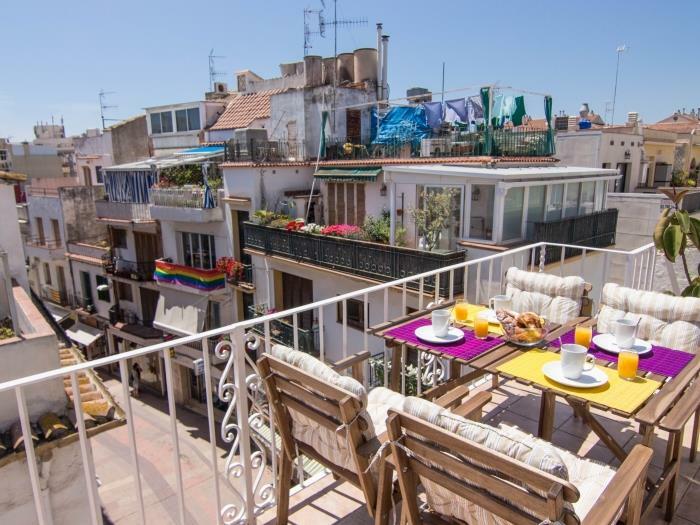 The PURPLE ATTIC apartment is a comfortable and well equipped property with a nice private terrace in the best central location.